The Ayodhya to Colombo via Rameshwaram service by the Indian Railways will start from November 14 from Delhi and take 16 days to cover the circuit. The train service will start from November 14 from Delhi and take 16 days to cover the circuit. From Ayodhya to Colombo via Rameshwaram, Indian Railways plans to launch a special tourist train on the Ramayana circuit covering the locations associated with the Hindu epic. The service will start from November 14 from Delhi and take 16 days to cover the circuit. The train will seat 800; those interested in the Sri Lanka leg can opt to travel to Colombo from Chennai by flight. An official of Indian Railway Catering and Tourism Corporation (IRCTC) who asked not to be identified said his company is expecting significant demand for the service. He added that the train would be called Sri Ramayana Express and that the journey (within India) would cost Rs 15,120 per person. “There will be on-board train meals. There will be night stay and wash and change in dharmashalas at the places of visit. We will also cover all transfers and sightseeing and IRCTC tour managers will travel along with the passengers for necessary assistance,” the IRCTC official said. The train, which will start from Safdarjung station of Delhi, will make its first stop in Ayodhya, which according to the epic is the birthplace of the Hindu god Ram, Hanuman Garhi, Ramkot and the Kanak Bhawan Temple. 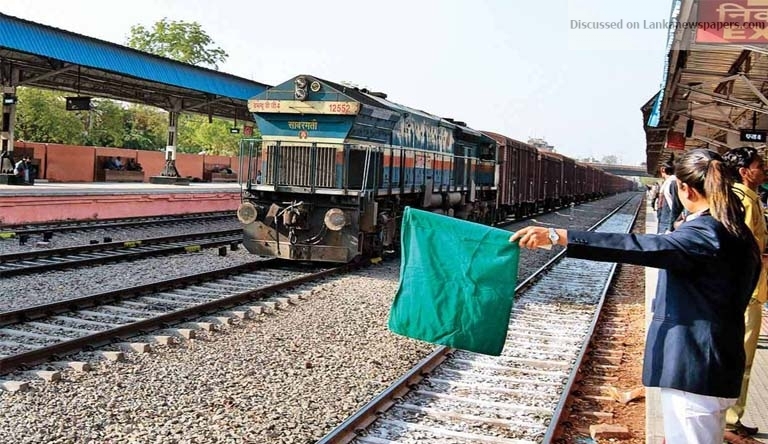 The train will then move along the circuit, making stops at Nandigram, Sitamarhi, Janakpur, Varanasi, Prayag, Shringaverpur, Chitrakoot, Nasik, Hampi and Rameshwaram or at the nearest railway stations. Railways will facilitate trips by road from the station to the pilgrimage site. Those wanting to go to Sri Lanka will be transferred to Chennai by train and flown to Colombo. They will also travel to Ramboda, Nuwara Elliya and Chilaw. “We see good revenue on this circuit. Right now date of first train has been announced and after seeing the response, we will decide whether to run the train once or twice in a year,” said Rajni Hasija, director (tourism) of IRCTC.